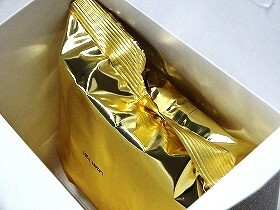 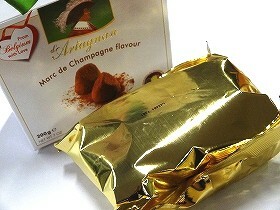 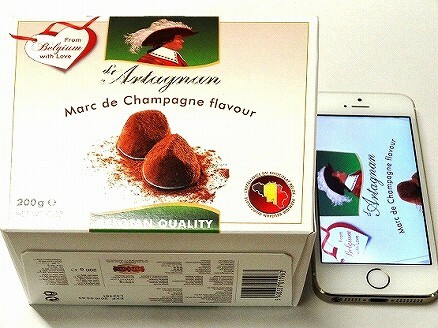 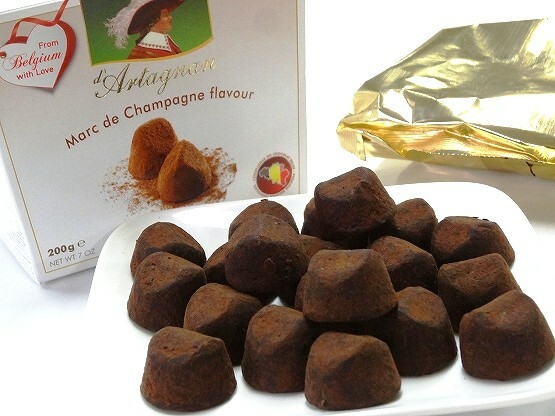 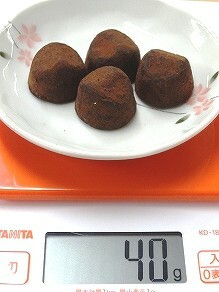 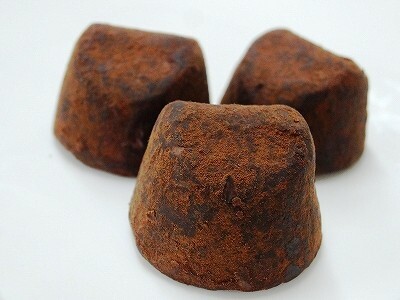 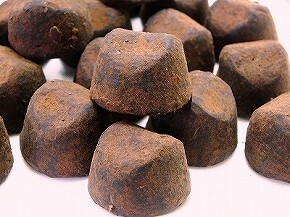 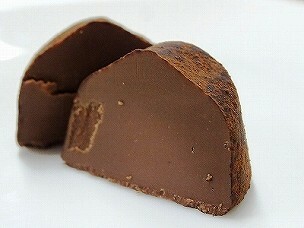 Fantasy truffles with Marc de Champagne flavour. 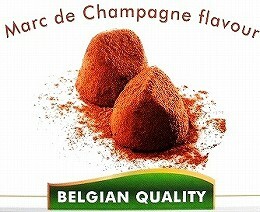 Emulsifier: Soy Lecithin, Natural Marc de Champagne Flavouring. 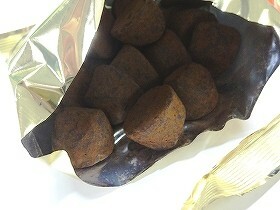 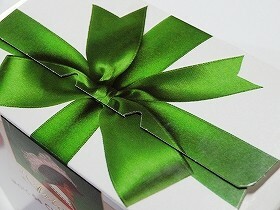 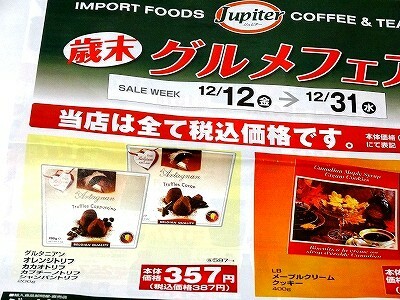 Contains Milk and Soya. 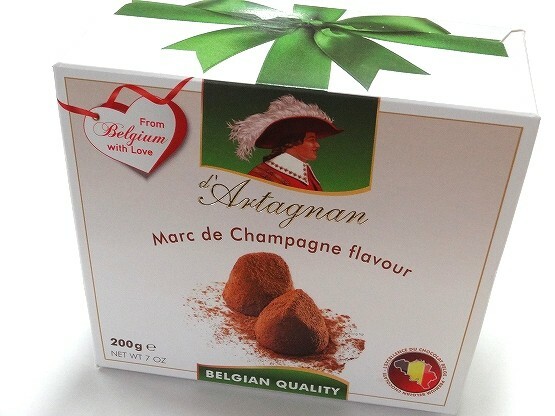 May contain traces of eggs, nuts peanuts and gluten.